We know that the last thing you want to do when you prepare for a special occasion or when you have already had a good time is to have to clean up. Many families simply don’t have time to clean and organize their home for the holidays. That’s exactly when Crystal Bright Cleaning Service comes to help. We can get your home spotless and ready for guests. Having a birthday party, holiday party, wedding, anniversary, or other special event party? We all know that there’s a lot of work to be done before the guests arrive. We will take care of all your holiday stress, cleaning, and event services. Our special event cleaning service is designed to take the worries off of your shoulders. Call Crystal Bright Cleaning Service! We can clean up your home after a special event or before. 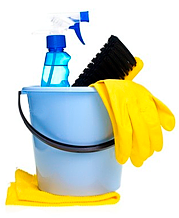 Our hardworking and friendly cleaners will take care of all your preparing and cleaning needs. They use the best equipment and cleaning products available. Need your place spruced up for the holidays? Contact Crystal Bright Cleaning Service! We’ll take care of cleaning and all your special needs. Your guests will be impressed with how spotlessly clean your home is. Reduce the holiday stress with just one phone call. We also offer other services such as carpet cleaning, window cleaning, refrigerator clean out, oven deep cleaning, moving in/moving out cleaning, spring cleaning, etc. Crystal Bright Cleaning Service provides affordable, quality, and flexible cleaning services matched to your special needs and requirements. Special events tend to produce a special kind of a mess. It’s obvious that no one likes to clean up the mess that comes with the party? Let us do all the hard work while you enjoy the after party mood. Our cleaning experts will work hard to make your home completely spotless. Be sure Crystal Bright Cleaning stuff will clean all areas properly and efficiently. After your party is over, our cleaning staff will come wipe down the tables, clean the floors, remove all trash, etc. Hire our cleaning company to clean up after your next party. Enjoy your free time!